Movement, awareness, and relaxation practices are essential tools of self-care for maintaining health, ease and dignity throughout our lifespan. However, for older adults and people with health challenges, safety is paramount and the particular requirements for this population are often not clearly understood within the yoga community. 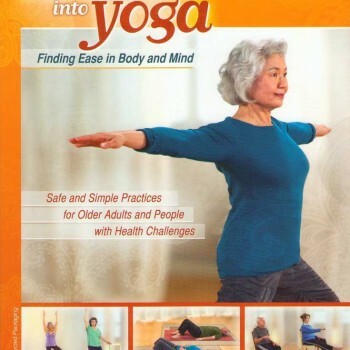 Based on the pioneering Yoga for Seniors teacher training—offered at Duke Integrative Medicine and the Kripalu Center for Yoga and Health, Kimberly Carson and Carol Krucoff’s careful approach is informed by their own extensive experience working with seniors in medical settings as well as important movement guidelines endorsed by the scientific research community. This has enabled them to create safe, effective and enjoyable practices that are accessible to virtually anyone who can breathe. "Carson and Krucoff's DVD Relax Into Yoga is a product any health professional can recommend with confidence. Not only is it "Safe and Simple", it is Smart. The guidance, the simplicity and most important, the accessibility set it apart from any other instructional DVD on yoga in the market. As a more frail population seeks the healing benefits of yoga, this DVD will serve as a gold standard for safety for all future productions."